Yeah… How DO we learn. There are all sorts of talks about Learning Styles and Modes of Learning. But in the end, some sort of “philosophy” or training should be better for nurturing change in a trainee. Our Counseling Center provides Clinical Pastoral Education (CPE) and that has gotten me reflecting on how we learn, how we grow, and how we change. Sadly, I have never taken a course in Education Psychology. But I have had enough training, experience, reflection, and eduction (Yes… “Eduction,” NOT “Education”) to have a few thoughts. Think of this Diamond Diagram above as the interaction of two cycles. Cycle 1 is the Action-Reflection Cycle. 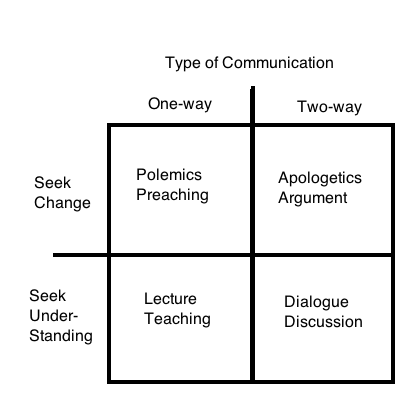 It is also the Praxis Model of Theological Contextualization or Development. It is further the process of Pastoral Theology. We like to say that experience is the best teacher. That may be true, but we are not always the best learners. Often, we act without reflection, falling into the same decisions and actions like a vehicle may get stuck in the deep ruts of an old dirt road. With and after action should be thoughtful reflection. This should be done personally, meditatively, and intentionally. However, it is also aided by being doing with peers and mentor. However, this reflective activity should then guide action. The process is cyclic or, better, helical, as one learns and changes over time. Cycle 2 is the Didactic-Eductive Cycle. The term “Didactic” has many meanings and nuances. However, it generally involves teaching via imparting knowledge to the trainee from the instructor. The term Eductive, or Eduction is a term promoted by Seward Hiltner. In my Navy days we used eductor pumps to get water out of flooded areas of the ship. The eductor pump has no moving parts and utilizes no electricity, flame, or fuel (at least directly). Water is sent through a firehose at high speed and through the “pump” that is settled in the flooded area. The low pressure, utilizing Bernoulli’s Principle and proper nozzle design, causes water to be sucked into that stream and out of the space. Eduction then is to draw out. We already know a great deal of things… but that knowledge must be drawn out of us. Eductive learning is common in Rogerian, “client-centered,” counseling, as well as Pastoral counseling. At the same time, one cannot draw out what isn’t there in the first place. Therefore, some input, didactic training is needed as well. However, people commonly don’t change by simply given outside information. Truth needs to also come from inside to be valued and utilized. Ideally, a cycle of input and drawing out can lead to growth and change. Bringing these two cycles together is especially valuable, and both can lead to consider change and growth. CPE (Clinical Pastoral Education) seeks to bring these two cycles together. Good mentoring should as well. The LePSAS method of training (Utilized by Community Health Evangelism/Education (CHE)) also seeks to bring the two cycles together. Trainees (disciples) should be involved in ministry/activities. Don’t fall into the trap of “train them now to minister later.” Training is best done in concert with action. Trainees should not just be doers. The action needs time for reflection, incorporation, and change. Of course to do this means to allow the trainees to diverge from established activity patterns. Reflection that cannot be acted upon is demotivating. Trainees need to be taught. “Throw the child in the water to see if he will sink or swim” may work for some. I have heard on the Internet how an eagle will push its young out of the nest when it is time for it to fly. But that story is false– and appears to express more about the instructor than about what works. Most people need some guidance… some instruction. Trainees need to be helped to learn what they already know. Education should not be paternalistic— assuming that the trainer has all knowledge, and the trainee has only ignorance and misinformation. The trainees are full of valuable trainings, experiences, and reflections that are not synthesized/integrated. In some cases they are nearly forgotten. The trainer can help them draw these out and get them integrated with action, reflection, and new learning. I finished teaching an 8-week course in Theology of Missions at Philippine Baptist Theological Seminary. I wasn’t sure how best to do this, since this is the first time I have taught the course, and it is the first time it has been taught at our school. So I decided to hit as much as I could in areas relating to Missions Theology that is not necessarily dealt with much elsewhere. So I broke it up into three major topics, and several minor topics. 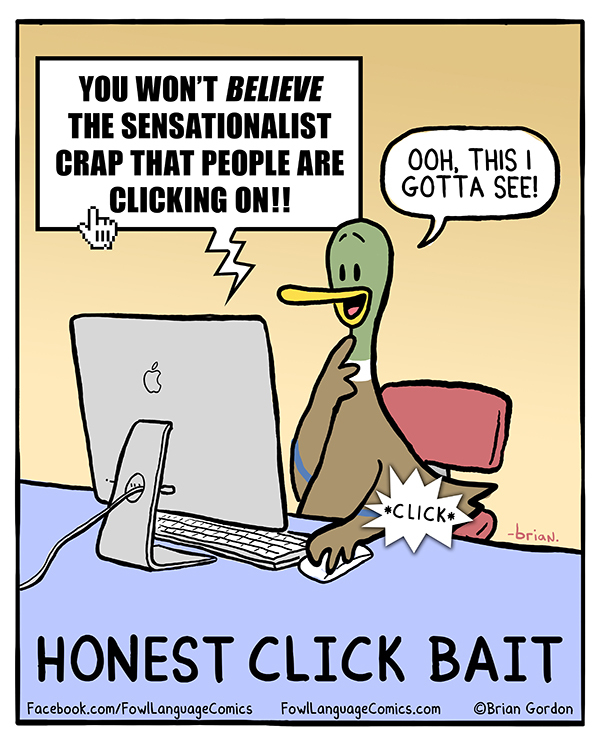 Many of you know the term “Clickbait” (aka “click bait” or “click-bait”). But for those that don’t, clickbait are web articles that are created to entice “clicking” on them. Typically, the stories are misleading, biased, low-quality or completely bogus. The purpose of these articles is not to inform… at least not to inform with the truth. Rather, they are to pull people in to generate advertising dollars. Websites need thousands of clicks a month to attract advertisers. One time I wrote an article challenging a false prophecy from a traveling speaker visiting the Philippines that a flesh-eating bacteria plague would start in Pangasinan and then grow into a worldwide epidemic. A few weeks later a local news network put on a (later found false) report that supported the prophecy. Within 4 hours of that report, I had over 3,000 hits on my website. Normally, it takes me close to 4 months to get that many hits. Stories, even when false, that draw on the fears of Christians can generate an awful lot of “clicks” on the web. I am glad, however, that my article challenged the story, and ultimately appears to have been correct. One finds a lot of clickbait on Facebook. At lot of my friends share this stuff. Now, in some cases, it is not their fault. Some clickbait is set up so that when one tries to close the article by clicking on the “X” it is actually interpreting the action as a permission to share on your FB page. That being said, so many intentionally put completely bogus stories on FB. Why do that do it? I am not sure, but here are some thoughts related to this issue at least. Far too many Christians don’t want to take the time to do real research. If there is a report that a crater has formed in a part of the world as a part of divine judgment, it may be difficult to prove it was divine judgment, but it is pretty easy to research whether such a crater actually exists. But far too many don’t take the time. There is still a tendency to take pictures as truth, and written stories on the Web as non-fiction. We live in an age where we should always doubt image evidence. We should also question context. Further, saying that one “read it on the Internet” is like saying one “heard it on the telephone.” The Internet is no more likely to be correct than any other communication device. Many Christians (like most people really) like to shelter themselves with people they agree with and stories that support their beliefs. Some love to repeat any story that shows some religious, or racial, or national or social group in a bad light, regardless of the truthfulness, or even plausibility of the story. Others seem to have a fascination of divine judgment or guessing the end of the world, and repeat related stories with little to no thought to source, reliability, or logic (or repercussions to one’s witness when proven false). Many fall into the situation of the bored cat that was killed by his own curiosity. Stories often titillate, or start with “I was shocked when I discovered…” to say nothing of articles that essentially say that you must read it, or must share it, if you love Jesus or care about others. Of course, in many cases the real reason you must read or share it is to help the site owner’s hit count for revenue purposes. But is this all harmless? I don’t think so. Some people believe these stories. Many of the stories draw on the baser instincts of Christians… trying to fire up their anger or moral outrage– perpetuate and expand an “US” versus “THEM” attitude. This is hardly a beneficial thing for Christians or the church. I think it perpetuates a felt belief among many secularists that “Christians are so stupid that they will believe most anything.” Admittedly, secularists can be pretty gullible as well, but that hardly negates the bad reputation that it generates. I remember a friend of mine putting a non-sense article on his social media page where he added the comment… “This may not be true… but it should be warning to us.” If it claims to be true, verify it. If it proves untrue, don’t share it. Helping false reports “go viral” supports a cynical industry that should be opposed (at least with disinterest) rather than sponsored. In some cases, of course, this clickbait got dumped on people’s FB page without them knowing. But one really needs to know what is on one’s page. One’s reputation, one’s persona is revealed in what one puts on one’s FB, one’s Twitter, one’s Linkedin and more, People make judgments about others in what they have on their page. I have to admit that I am cautious about working with people who are not cautious, or are excessively gullible, in what they have on their social media pages. I am sure others judge me in what I put on as well. Titus 2:10 suggests that we are to adorn the gospel with our words and actions. I Peter 3:15 says that we are to share what believe and hope in, with gentleness and respect. Spreading obvious foolishness certainly does not do this. I have had to cut back a little in blogging. Part of it is because of a lot of stuff going on this Summer. We have a Disaster Response Symposium that our group (Bukal Life Care) is putting together in partnership with Philippine Baptist Theological Seminary and Virginia Baptist Disaster Response. We also will be doing our first medical mission in two years (definitely out of practice). And we have 16 CPE trainees at our center right now and for the next several weeks. Additionally, though, trying to do some book writing. 90% Done. “Ministry in Diversity.” Book on Applied Cultural Anthropology, for Missions. Technically, it is done. I used it for my Cultural Anthropology class. I have to finish footnoting and indexing., Also the students wanted more examples (I can get too focused on information at times). This book is for Bible schools… particularly in the Philippines or Asia. 70% Done. “Foundations of Community and Clinical Pastoral Care.” This has been a slow one. I had it listed at 30% for ages. Many of the chapters are done. Still a fair bit of work in the Pastoral Supervision section. Actually hope to finish it before the anthropology book. To be used by Bible Schools and CPE centers, especially in Southeast Asia. 5% Done. “Adventures in Theostorying.” The title may change. Have 2 or 3 chapters kind of done. But still a ways to go. Feel free to check them out on Amazon… if you have time. At the bottom of this article is a link on Online Debating. It points out that it is better to seek clarification (understanding) than persuasion. The article points out that debate (or I listed as “apologetics/argument”) has problems. Positively, it is likely to be better than polemics/preaching because it at least respects the other person enough to listen to what they have to say. But seeking understanding rather than change has advantages. In the article below, two effects are listed: “Bias Confirmation” and ” Backfire Effect.” One can’t do much about the former, but backfire effect can be lessened if on focuses on understanding/clarification, rather than change. Move toward Dialogue over Lecture improves things further since one is respecting the other person by listening to them. I would like to suggest (without proof except anecdote) that missions is more effectively carried out through dialogue than the others. The next best is teaching. After that is a toss up: argument or preaching. While there is a lot of tradition in support of preaching… I see little evidence that it works now for much more than confirming what people already believe (preaching to the choir). I could be wrong.